Running one of the world’s best Bands isn’t cheap. Despite the success of the Flowers Band, a good year is when any band manages to break even. In order for Flowers Band to keep performing at the highest level, bringing live music to our followers and demonstrating what the bands of the United Kingdom can do, we are now launching a Patron’s Program. The idea is to begin a quarterly Newsletter, featuring player news, stories from within the band, band trivia and also a report from MD Paul Holland. We will also run a spotlight feature on a player in the band. This Patron’s Newsletter will be exclusive to Patrons. Upon joining the Patron’s Program, supporters will be sent out a welcome package. See below for the different levels of support you can choose from. Patron’s Silver - £25 per year. This includes admission to the Patron’s Concert and a subscription to the quarterly Newsletter and your name printed in the Patron’s Program members area within the Newsletter. Patron’s Gold - £50 per year. This, in addition to Silver, awards the Patron with a selection of merchandise from the band and discounted tickets to any Flowers Band Concert. Patron’s Platinum - £100 per year. This, in addition to Gold, awards the Patron with their choice of 3 CDs from the band’s archive, a peronalised thank-you letter from the MD Paul Holland on behalf of the band. Patron’s Diamond - £200. This one off donation will secure a lifetime membership to the Flowers Band Patron’s Program. The Patron will receive everything listed above and will be added to the Flowers Band “Lifetime Patron Roll.” This will award the Patron with reserved priority seating at any Flowers Band concert, a personalised welcome at each Concert they attend, as well as an invitation to join Flowers Band behind the scenes at rehearsals or Concert at the Patron’s choice. 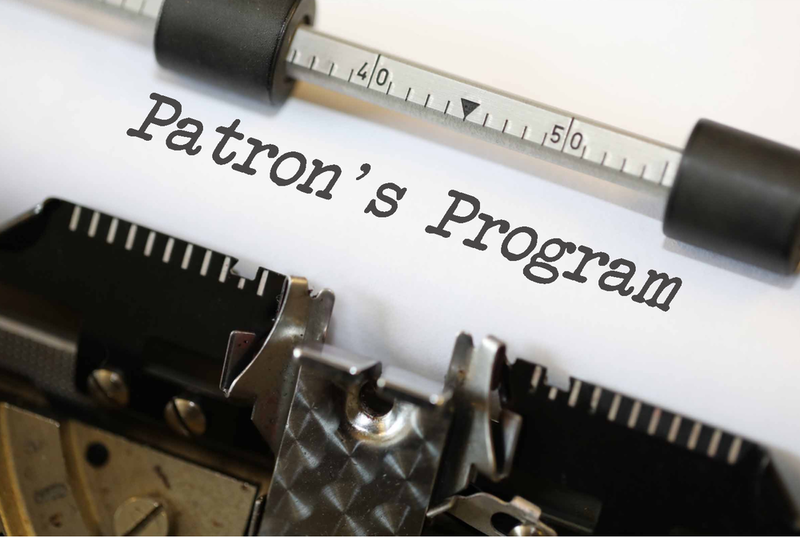 For more details on joining the Patron’s Program, fill out the form below and we’ll be in touch! To enable your donation to the Patron’s Program to go further, we will also explore the possibility of Gift-Aiding your donation. This adds no cost onto any package you choose, but will allow us to claim an extra 25% on top of your donation from the Tax-Man.